Everyday we are faced with the choice to rest in the promises of God or to stress over the problems we encounter. It should be an easy decision to make but yet we find ourselves often caught between two opinions. On one hand we want so much to trust and believe that God will do just what He says. On the other hand we find ourselves doubting that He actually cares. After all, God has so much more on His plate than to be concerned about our issues. I am so glad that God is not like man. He is much greater than we can ever imagine. His love for us spans wider than the ocean. Before we were even a thought, He knew us. He presdestined us, made us a part of His master plan. That should be grounds for our trust. I have found that it is much easier to trust a God that has a proven track record. I would rather take my chances with God any day than to walk in fear and doubt on a regular basis. I have been there and done that too many times. 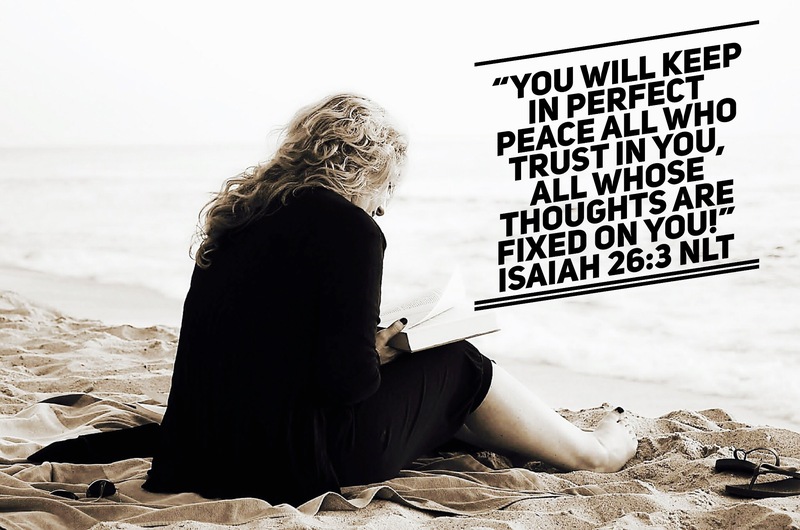 Today, I choose the peace that comes with trusting that God will perform what He has promised. I may not know when. I may not know how, but I can be confident that He never fails. He has proven Himself faithful time and time again. Previous Post Have you heard? Next Post Are you a good representative?